There are some people who are just hard to shop for. Other people are easy to shop for but you want to pick a really special gift. My teen can be both of those at any given time! That’s why I decided for her 13th birthday to have a music box made for her at Music Box Attic. I was like a kid in a candy store customizing it. First I chose the box that I wanted (a pretty traditional wooden box that was around $45). Next I selected to have it engraved on the inside with her name. Then came the fun part–choosing the music. My daughter LOVES music, and so many special songs were possibilities. I probably spent an hour just listening to the song choices. I ended up going with “I Dreamed a Dream” from Les Miserables because it is one of her favorite musicals. 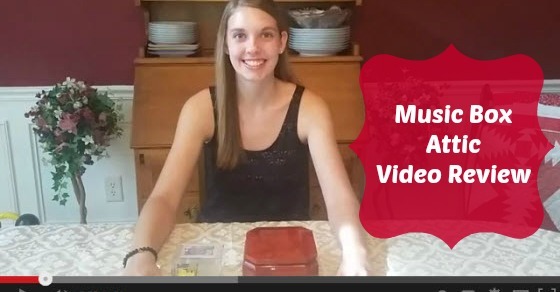 Check out Jillian’s video below and start thinking about all of the people in your life who could use a music box or jewelry box (there are difference!). Plus, don’t forget that we always post the most recent Music Box Attic coupon codes! Right now you can save up to $250 on your holiday purchase.